However, patients such as Lois Tumanello, who received a successful lung transplant at 65, are proving that perhaps age does not always matter. A new UCLA Medical Center study shows that select patients age 65 and older can safely undergo lung transplantation and have acceptable outcomes. The findings are reported in the February issue of the peer-reviewed Journal of Thoracic and Cardiovascular Surgery. Since 1999, UCLA has been one of the few transplant centers in the country to offer lung transplants to patients 65 and older who were otherwise healthy candidates for the procedure. "Over the past decade, various reports have shown that older recipients undergoing all types of solid-organ transplantation can have good outcomes," said study co-author Dr. Abbas Ardehali, associate professor of cardiothoracic surgery and director of the UCLA Lung Transplant Program. "We wanted to define the short- and medium-term outcomes of lung transplantation in these older patients to determine whether the outcomes were acceptable." The study reviewed records of UCLA patients who received lung transplants between March 2000 and September 2006. During this period, 50 transplant surgeries were performed on 48 patients between the ages of 65 and 72. A group of 50 patients younger than 65 were matched to the older cohort for comparison purposes. Survival rates for both groups were similar. The early survival rate of the older patients was 95.7 percent, compared with 95.9 percent for the younger cohort. The one-year survival rate was 79.7 percent for the older group and 91.2 percent for the younger, and the three-year survival rate was 73.6 for the older group and 74.2 percent for the younger. Researchers found that older patients were more likely to receive single-lung transplants (76 percent, compared with 16 percent for the younger group) and to receive nonstandard lungs (46 percent, compared with 28 percent). Nonstandard lungs are those considered "less than perfect" but still acceptable for transplantation. The study's findings suggest that the increased mortality rate among older patients during the period from one month to one year following transplantation — due predominantly to infection — may result from immunosenescence, the gradual deterioration of the immune system with age. "This finding warrants adjustments in the immunosuppresion protocols for older patients," said lead author Dr. Raja Mahidhara, UCLA assistant professor of cardiothoracic surgery. "In addition, future studies should look at the effects of lung transplantation in older recipients on the donor pool and on other, younger patients on the waiting list." 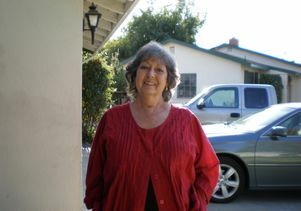 Tumanello, now 66, suffered from emphysema for more than nine years before receiving a single-lung transplant at UCLA in March 2007. Since then, she said, she has felt wonderful and has been enjoying the freedom to go anywhere and do anything she wants. Married, with three grown children and five grandchildren, Tumanello says she is grateful every day for the generous gift she received and is committed to taking care of her new lung. "I think everyone should be given a chance," she said. In addition to Ardehali and Mahidhara, UCLA researchers included Dr. Sam Bastani, Dr. David J. Ross, Dr. Rajan Saggar, Dr. Joseph Lynch III, Dr. Gabriel T. Schnickel, David Gjertson and Dr. Ramin Beygui. Lung transplantation has emerged as an effective treatment for end-stage lung disease. Since the inception of UCLA's program in 1988, more than 400 patients have undergone lung transplantation at UCLA. Recent advances in preservation methods, surgical techniques and immunosuppressive drugs have steadily improved the results of lung transplantation. Moreover, improvements in post-transplant care have significantly bettered the quality of life for lung transplant recipients. For more information, visit www2.healthcare.ucla.edu/transplant/lung.html.